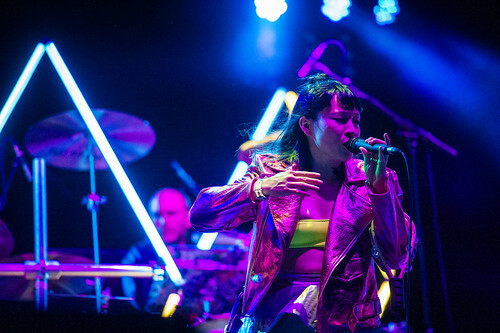 Even though Little Dragon were billed before the festival-standard massive DJ on the Bigfoot Stage on Friday night, they might have secretly been the night's best dance party. 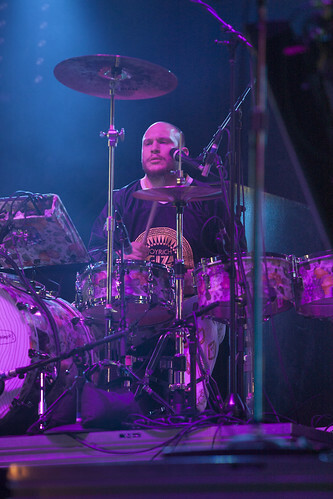 The common thread between each of the songs in the Swedish band's set was their innate danceability. 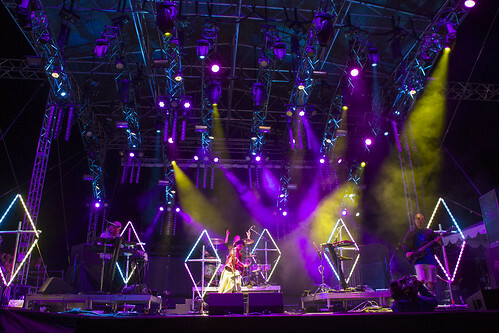 Moving from elastic funk to downtempo groove to 808-driven bounce with no friction isn't something many bands can do. 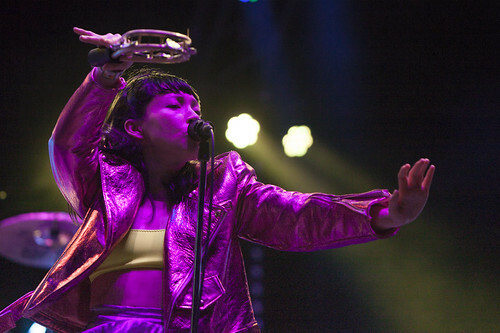 Then again, most bands don't have Yukimi Nagano leading their onstage charge. 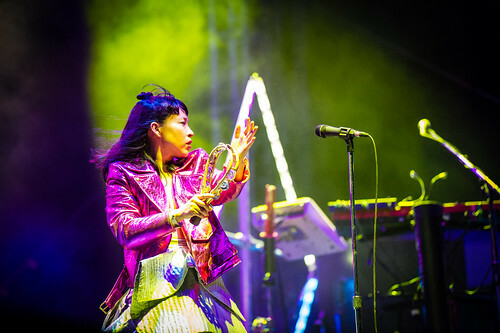 Decked out in shimmering foil duds and a spot-on pair of neon Nike sneakers, Nagano's spiky presence carried the band through "Klapp Klapp", "Ritual Union", and plenty of other synth-laden dance anthems. 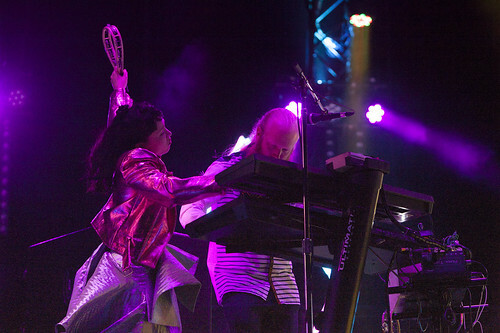 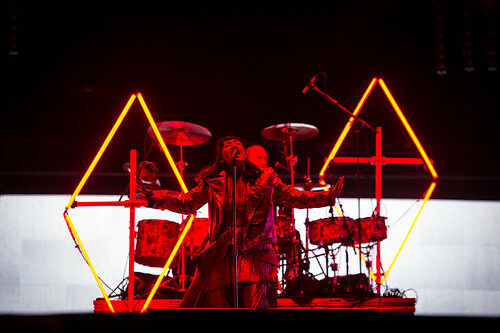 But as engaging as Little Dragon's uptempo songs were, the band showed a surprising strength in their slow jams. 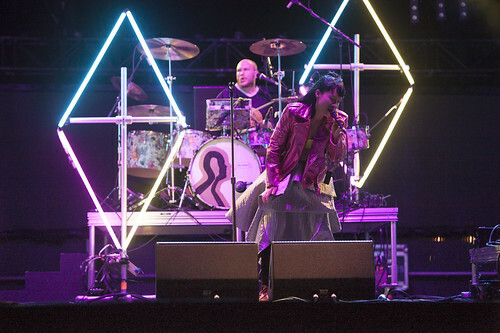 Their latest album, Nabuma Rubberband, featured more of those languid, flowing tracks than ever, and when they aired them out on Friday night, they went over just as well as the bangers. 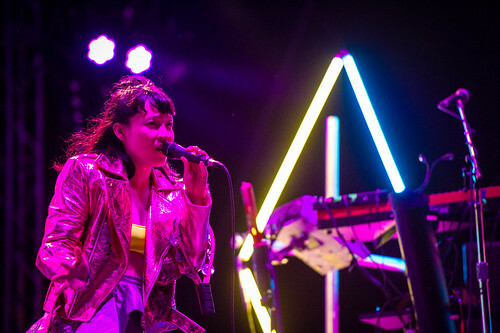 Little Dragon wasn't the most over-the-top, sense-overloading, hands-in-the-air dance set – that honor easily went to their stage successor Flume and his massive lighting rig – but they could well end up as one of the weekend's dance highlights.